It's beginning to look like hyperloops will become a real method of transportation in the future. Countries and regions around the world have been granting digging and construction permits to companies like Hyperloop TT, Hyperloop One, and even Elon Musk's Boring Company. 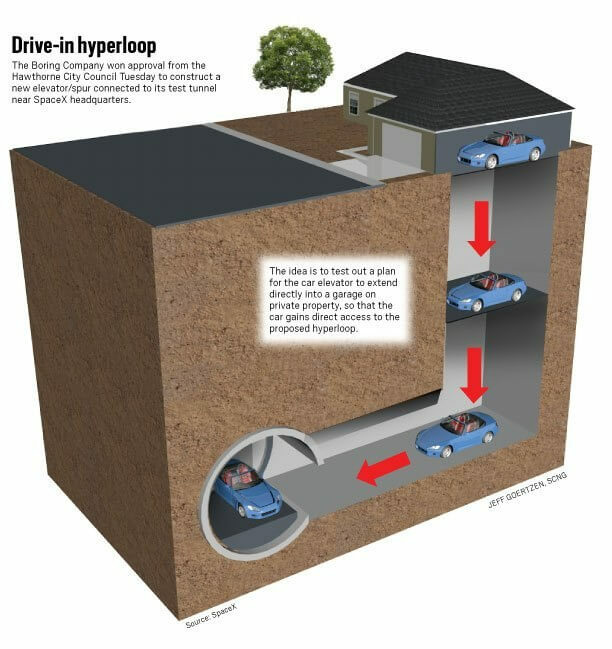 That trend is continuing now, as California's Hawthorne City Council has just given the Boring Company full approval to connect an above-ground garage to an underground tunnel. The prototype images we've seen so far depict what appears to be a standard suburban garage. 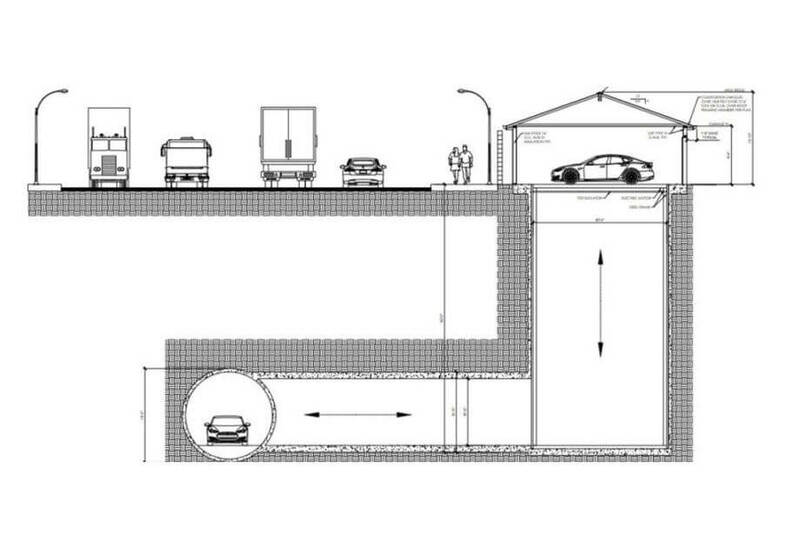 To build this proof-of-concept transportation system, the Boring Company has purchased a residence above a tunnel they built beneath 120th Street and between Hawthorne Boulevard and Prairie Avenue, according to The Mercury News. The outlet says the one-mile tunnel effectively connects the house to SpaceX headquarters, which will probably be pretty convenient for Musk's builders. Naturally, given the fact that the home the Boring Company has purchased is in an actual residential area, Hawthorne City Council's approval of the project came with a few stipulations. To name one, Boring Company workers will not be able to drive into the garage from the street. Instead, they'll have to take advantage of the previously-mentioned tunnel. Hawthorne City Councillors are likely hoping this restriction will reduce noise and street traffic for nearby residents. It's not clear when the Boring Company will begin construction of this project, but we'll likely learn more about it in the coming months. This can eventually result in sinking holes in residential areas. This won't be affordable to the masses for years. At least the London underground was affordable to its citizens when it came about 120-140 years ago. This can create sinking holes in residential areas. The potential is there should the tunnels ever collapse. And nothing is ever foolproof. By 2018 standards, if the right construction methods are used, there should be no sinkholes. Haven't heard when the last time we had a sink hole in London, and our Underground is very, very large. I didn't know California was in London. I was also under the impression, California was home to lots of earthquakes. Miles of tunneling above or below ground in earthquake zones can not be easy to manage.